While the name Stephen King is synonymous with horror, it’s interesting to note that many of the best films derived from his work have been made by those whose names are anything but. Rob Reiner, for example, is probably the last person you think of when you think horror (although sitting through North can be a pretty horrifying experience). And yet, his name is forever linked with King. Reiner’s production company, Castle Rock Entertainment, is named for the fictional town that keeps popping up throughout King’s work. Reiner’s Stand by Me, based on King’s non-horror novella The Body, was a massive success in 1986, giving a boost both to Reiner’s directing career but also to King’s literary reputation. People were genuinely shocked back then to learn that King was capable of writing something that didn’t involve vampires or psychic phenomena. Despite this success, it was still a surprise when Reiner decided to tackle Misery, a full-on, heads-first dive into the scary end of the King pool. Today, almost twenty years after its original release, Misery still stands as one of the finest King adaptations to date and a perfect example of “right-place, right-time” filmmaking. It’s a tightly woven collaboration between stars, director, screenwriter and crew. Take any one of the key creative elements out of the picture and I don’t think the movie would work. Certainly the most visible key to the film’s success is Kathy Bates. Well-known for her work on the stage, Bates was virtually unknown to film audiences before scaring the doodie out of them as Annie Wilkes. It’s a brilliant, carefully modulated performance and she deserved the Best Actress Oscar it won her (a rarity for actors in horror flicks). When Barry Sonnenfeld’s camera gets in close, you truly feel the depth of her insanity. Equally good is James Caan as the captive novelist Paul Sheldon. Caan spends most of the movie lying flat on his back but his ever-worsening fear is written clearly on his face. And while Caan is the victim here, he never comes across as weak or passive. He tries everything he can to free himself and one of his most painful scenes comes when a patiently constructed scheme to drug Annie comes to nothing. Reiner and screenwriter William Goldman realized that they’d need to open King’s novel up and get out of the house once in a while, so two new characters are introduced: a shrewd, folksy sheriff and his deputy wife (played by Richard Farnsworth and Frances Sternhagen). The characters fit right in to King’s universe and the two actors blithely walk off with the movie every time they’re on screen. Screen legend Lauren Bacall also has a small role as Sheldon’s agent and although it’s little more than an extended cameo, we are talking about screen legend Lauren Bacall here, so you know damn well she makes an impact. On Blu-ray for the first time, I was a bit surprised to discover how much difference the high-def image made. Sonnenfeld and Reiner rely heavily on tight close-ups and the extra texture and detail adds immeasurably to the tension. This is a very fine transfer and the 5.1 DTS-HD audio is equally excellent. The Blu-ray disc offers no extras, yet you still get everything that was included on the special edition DVD from a few years back. How? 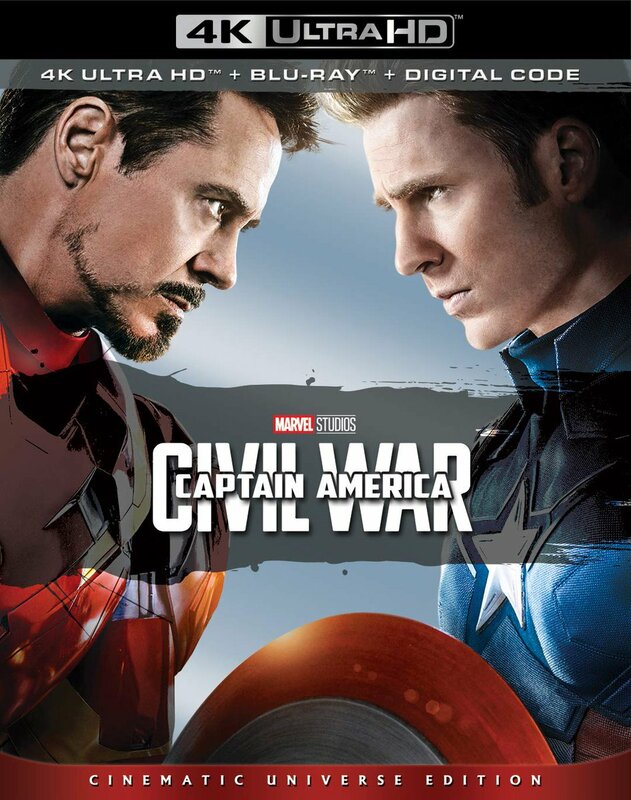 Well, Fox has simply included that very disc along with the Blu-ray. This is hardly the ideal way to get all the bonus features ported over but if it’s a more cost-effective way to get HD movies without losing content, so be it. The DVD includes two audio commentaries (one from Rob Reiner and another by William Goldman), both of which have some dead space. I’d have preferred if the two tracks had been edited together into a single commentary. You also get a fast-paced but informative making-of piece, Misery Loves Company, featuring interviews with virtually everyone except Bacall, the late Richard Farnsworth and King himself. Composer Marc Shaiman gets a featurette all his own and there are also two different trailers (including a darkly funny Christmas-themed one). The other featurettes have little to do with the movie itself but rather with the psychology of stalkers and the criminally insane. They’re kind of interesting but after awhile, I felt like I was back in high school taking Introduction to Psychology. They feel like the sort of educational films “cool” teachers would play after making the class watch something of dubious educational value... like Misery, for instance. 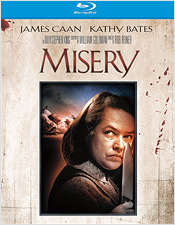 Misery has held up extremely well over the years. It’s a seamless example of classic Hollywood suspense and I doubt very much if it will ever seem outdated. But its weird BD/DVD configuration on Blu-ray makes it awkward to recommend enthusiastically. If you never bought the previous special edition DVD, by all means pick this up. But if you did, you’re essentially buying it again with a separate high-def movie disc. It looks great and definitely makes a difference but you need to decide for yourself how much that difference is really worth to you.